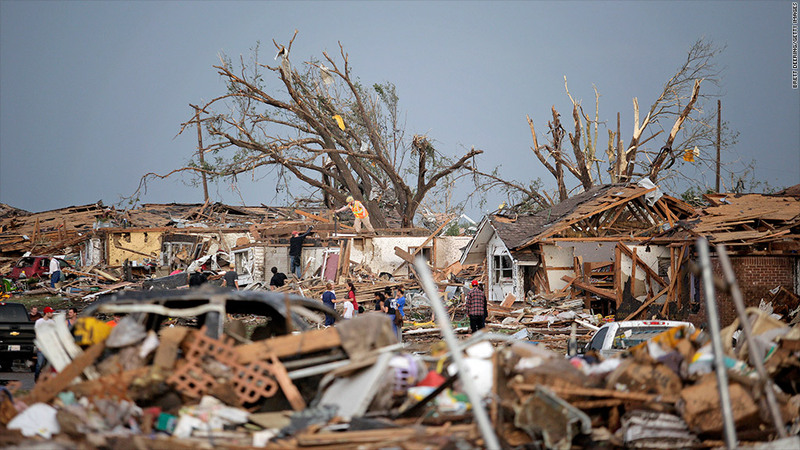 FEMA will provide rental assistance, as well as short-term loans to victims of the Oklahoma tornado. The Federal Emergency Management Agency announced a series of aid programs available to tornado victims who live in one of the Oklahoma counties declared a disaster area by President Obama. The agency had already been putting boots on the ground in Oklahoma as early as Sunday when the state suffered the first of a wave of deadly tornadoes. It has since brought in rescue teams from Texas, Nebraska, and Tennessee. On Monday, the president declared the counties of Cleveland, Lincoln, McClain, Oklahoma, and Pottawatomie disaster areas, making federal funds available for recovery efforts. "We very much appreciate the support and quick action of President Obama in approving Oklahoma's request for federal disaster assistance in the wake of today's devastating storms," said Governor Mary Fallin in press conference Tuesday. Rental assistance for people whose homes were destroyed. The payments would last up to three months for homeowners and one month for renters. Grants for certain home repairs and belongings that are not fully covered by private insurance. Grants to pay for medical, dental, funeral services and transportation costs not covered by private insurance or other aid programs. Unemployment payments for up to 26 weeks for workers idled by the storm who don't qualify for state benefits. Low-interest loans. These will be available to cover several classes of losses, such as for homeowners not fully covered by insurance. Loans will be in amounts of up to $200,000 for primary residences and $40,000 for personal property; up to $2 million for business owners and for agricultural cooperatives and private, non-profit organizations that suffered cash flow problems and need working capital. There will also be up to $500,000 loans made available for farmers, ranchers, and aquaculture operations. Advisory services to help those filing for casualty losses or who need help with Social Security and veterans benefits or legal matters. Those who need help can register at www.DisasterAssistance.gov to begin the process or call 1-800-621-FEMA (3362). Applicants should try to have documents in hand like their insurance policies and an outline of their losses.